Just like the French adores Goose Liver, we Chinese eat the Pork Liver. Some really enjoy eating the Pork Liver, but others eat it for a different reason. Pork Liver is known as a health food that comes loaded with vitamins and minerals, and it is especially beneficial for those with iron deficiency, such as pregnant women and athletes. 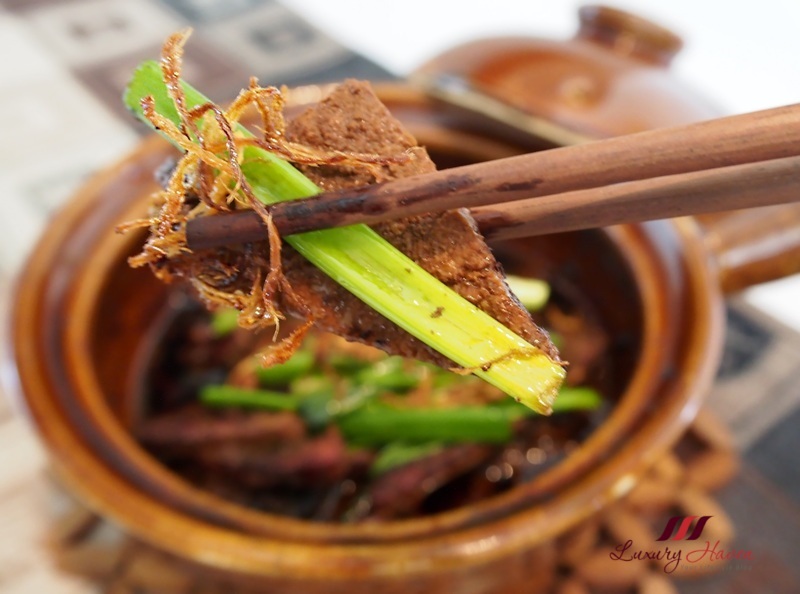 In TCM, the Pork Liver is considered a blood tonic. It also sharpens the vision, and is considered beneficial for night blindness etc. That being said, pork liver is high in cholesterol so we shouldn't be taking too much. 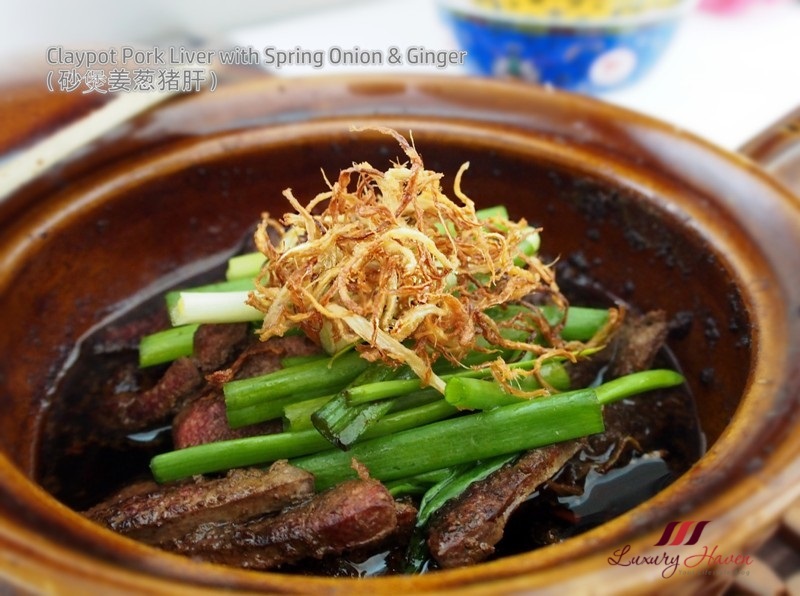 In this post, besides showing you how to cook the popular Claypot Pork Liver with Ginger and Spring Onion ( 砂煲姜葱猪肝 ), here's another easy nutritional method for those who can't cook. I used to suffer from Anaemia ( 贫血 ), causing low blood pressure in my younger days and my mom would make this fast and simple Pork Liver Soup ( 豬肝湯 ) for me to drink occasionally. All you need to do is just blanch the sliced pig liver, then add shredded ginger, salt and boiling water, cover the bowl for few minutes, and that's it! If you like, you can make a dipping sauce with a mixture of dark soy sauce and sesame oil for your liver. This method is so easy for the novice cooks or busy executives who are always on the go. Well, let's find out how to make the delicious and healthy Claypot Pork Liver next! 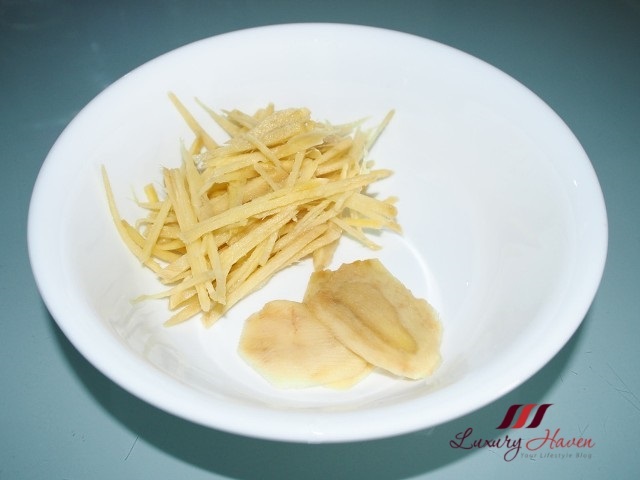 Scrap off ginger skin, and rinse. Cut out 2 slices and shred the rest. 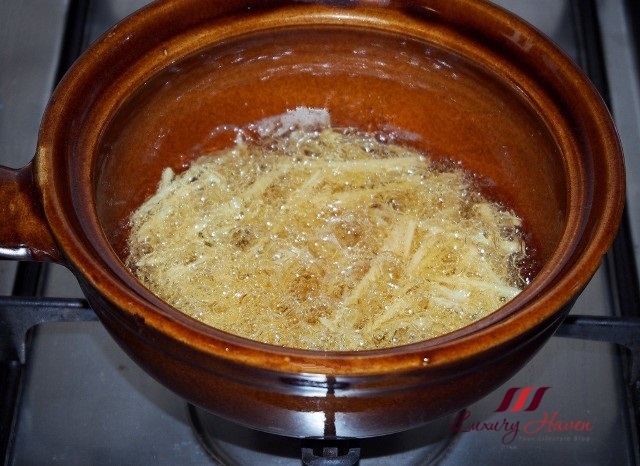 Heat cooking oil in claypot and deep fry shredded ginger till crispy. Drain and set aside. Remove oil and change to olive oil for a healthier choice. Rinse and slice the pig liver. Heat oil, add liver and sliced ginger and stir fry till fragrant. Add seasonings, water and mix well. 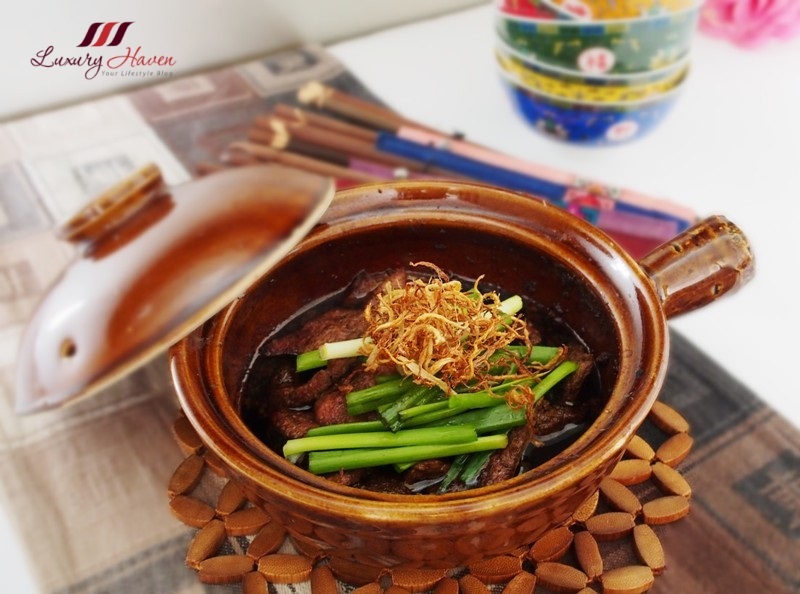 Top with spring onion and ginger, and serve your delicious Claypot Pork Liver hot! 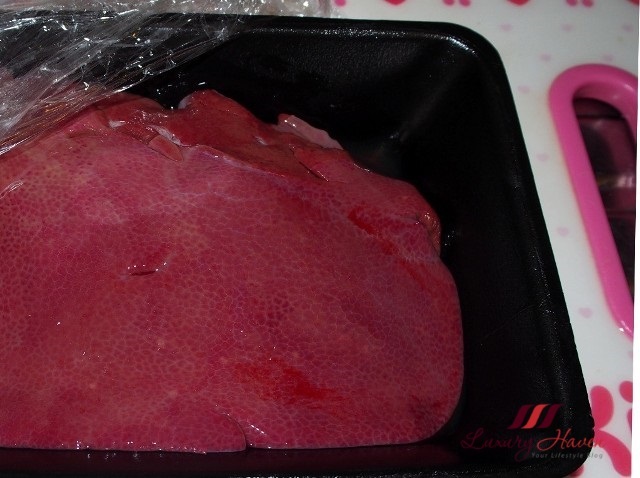 * Control timing according to your preference, but do not cook liver for too long or they will become tough. That being said, I prefer mine more well-cooked rather than under-cooked but it seems that most men like the pinky version. Is Pork Liver popular in your country too? 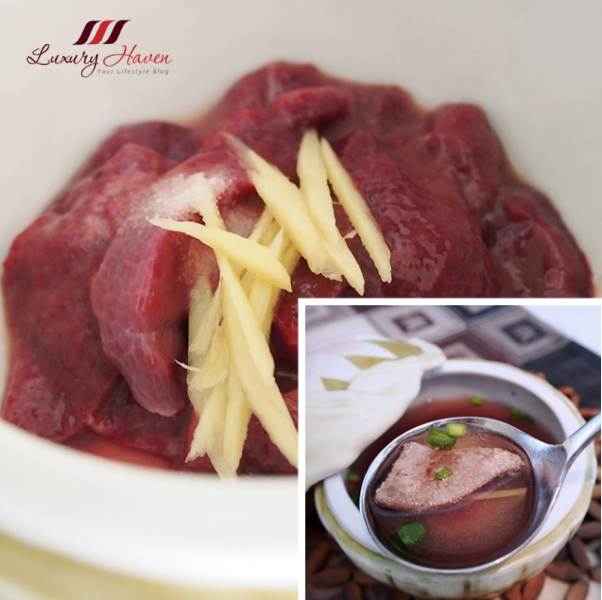 Do you know that Pork Liver is also one of the richest sources of natural vitamin A, an essential nutrient which promotes healthy tissues and skin? Now, there's more reason for you to start eating Pork Liver, isn't it? Thank you so much for this post, Shirley, I have learned much! Not for me. Never a fan of pork liver. Hehe. I have never try pork liver out before. Maybe one day I will. Have a great weekend. I like to eat pork liver too. It tastes so delicious with spring onions and onions. I have not eaten them with ginger before. This dish a winner. I love pork liver but I have not cooked because hub is pork free. But when I am out, pork liver I definitely won't miss out. Truly this dish is making me hungry right now. I had no idea pork liver could potentially help with regard to vision, it's amazing what certain foods can do! Besides knowing the liver helps to build up red blood cells, I've no idea that there's so much more to it. Must really learn to cook this dish. I have never tried pork liver! I don't understand why people often think that pork is unhealthy. I think it is all about balance. Pork meat can be healthy when eaten in moderation. This dish sounds fantastic! It looks yummy!!!! It's been ages since I've had any kind of liver. When we were kids, we had beef liver at least once a week. My father insisted on it not only for his "thriftiness" but because of the health benefits especially for iron and as you say anemia. We usually had it with onions and bacon. If my mother was preparing it she soaked it in milk first and then breaded it with an egg wash and bread crumbs. Louise, didn't realize beef liver can be eaten. It's so interesting to learn about other culture & food, dear. And the cooking method you mentioned here sounds real tasty! Thank you too, for sharing! Omg looks so delicious the presentation perfect. It looks super healthy. 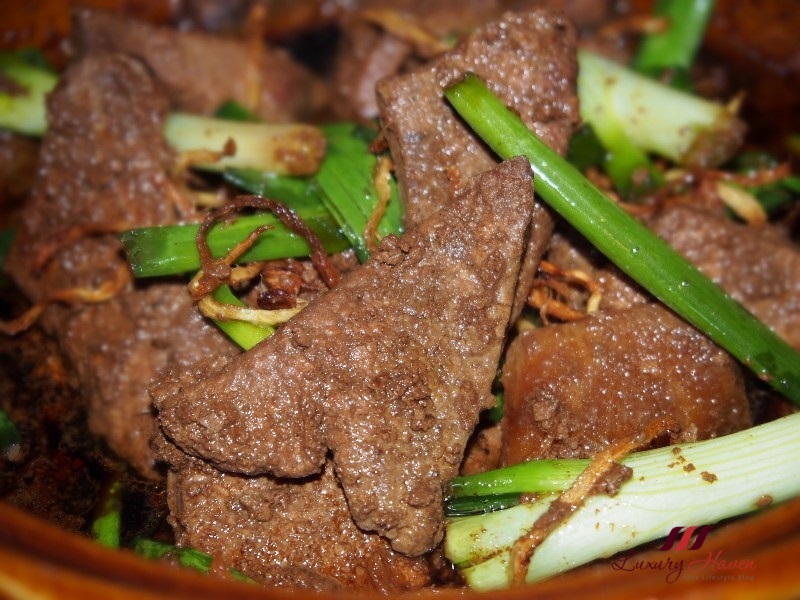 I like liver and it should be perfect to combine it with ginger and onion. I like, but chicken liver. Thanks for telling me about TCM! I am a great fan of pork liver. Yums!